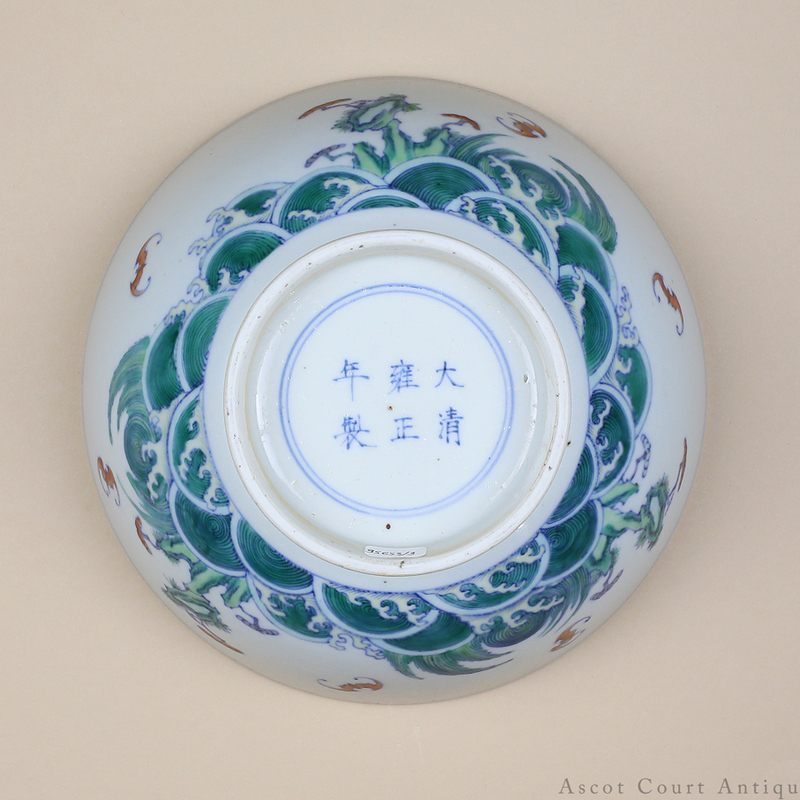 A rare Yongzheng mark and period non-imperial (minyao) doucai bowl, heavily potted and of an unusually large size, decorated with underglaze blue and overglaze enamels in the popular ‘rocks, waves, bats’ (shou shan fu hai) pattern, with the interior painted with a single archaistic ‘shou’ character in overglaze iron red. 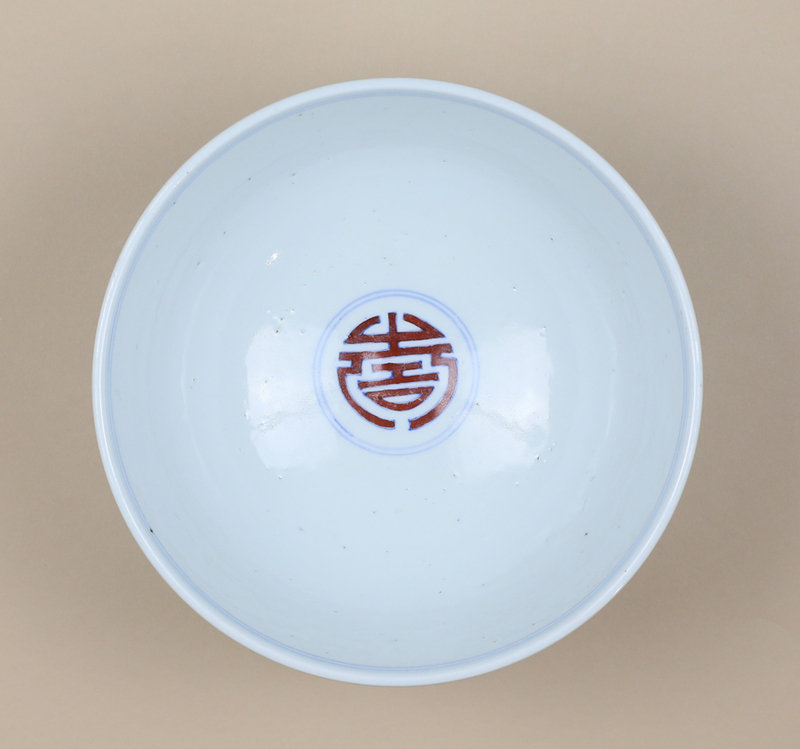 The base is marked with a casual but well-written six-character Yongzheng kaishu mark within double circles. 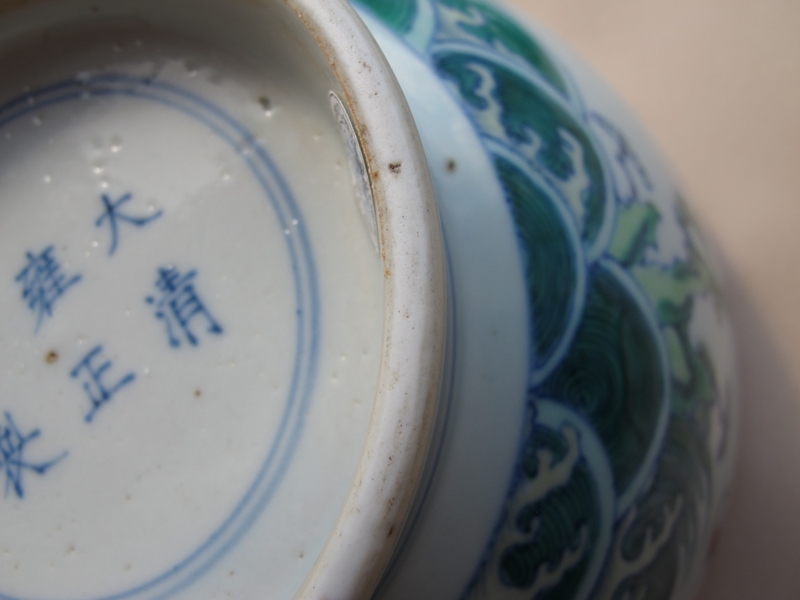 The glaze, typical for early Qing blue and whites, has a somewhat heavy blueish green tinge. 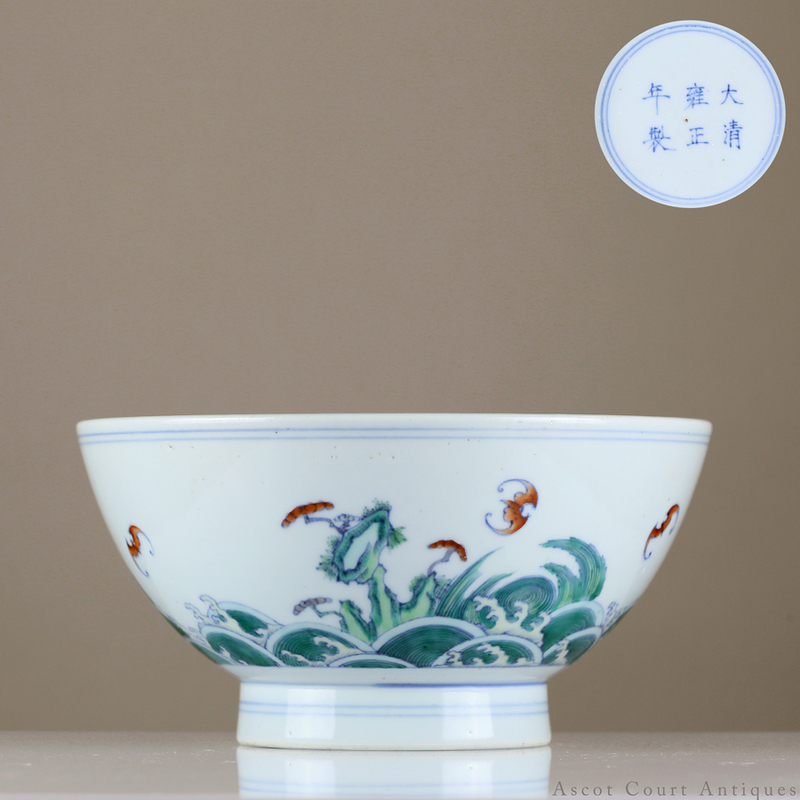 This bowl belongs to a rare group of Yongzheng period non-imperial Jingdezhen porcelains marked, decorated, and crafted in the imperial taste. 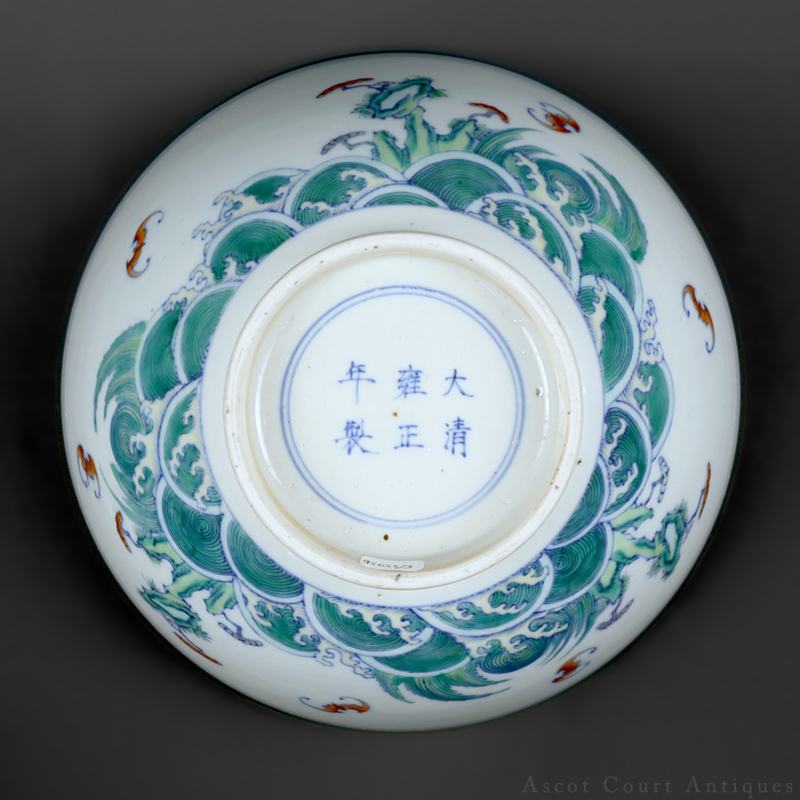 A Yongzheng doucai bowl in the Boston Museum of Fine Arts, also of the ‘rocks, waves, bats’ design is of similar quality in terms of glaze, underglaze blue, and enamels. It’s likely that these wares were crafted for the private consumer market, destined for the homes of the affluent merchant and minor nobility classes. 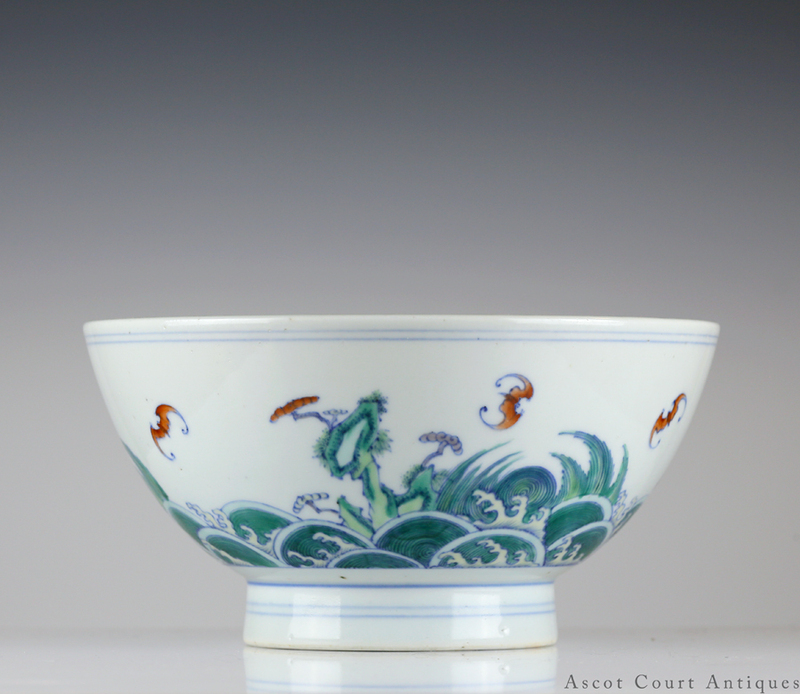 The ‘rocks, waves, bats’ theme is a popular theme found in Chinese art and culture; Chinese connoisseurs recognize it on sight. 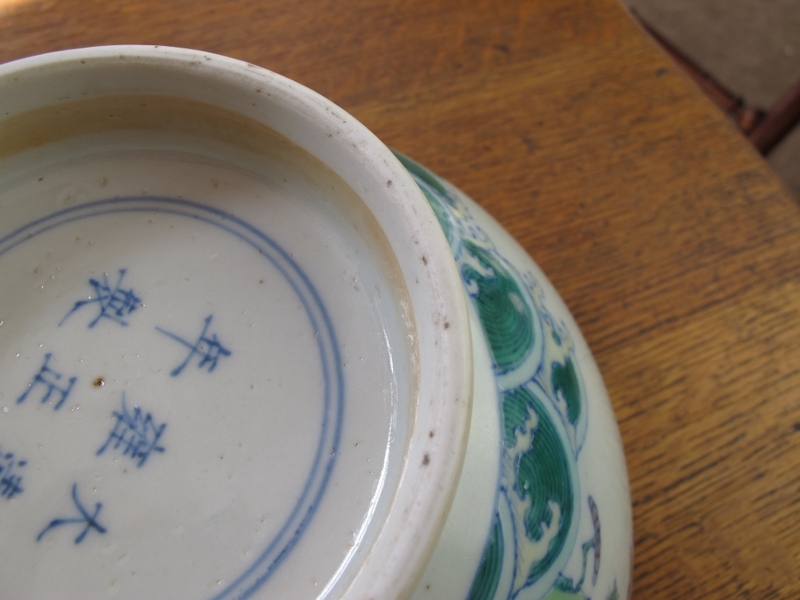 The image is pithily summarized as ‘shou shan fu hai’ (寿山福海), which is a shortening of the traditional platitude: ‘fu ru dong hai, shou bi nan shan’ 福如東海, 壽比南山. The message roughly translates as, ‘may your age be as ancient as the mountains, your good fortune wide as the sea’. 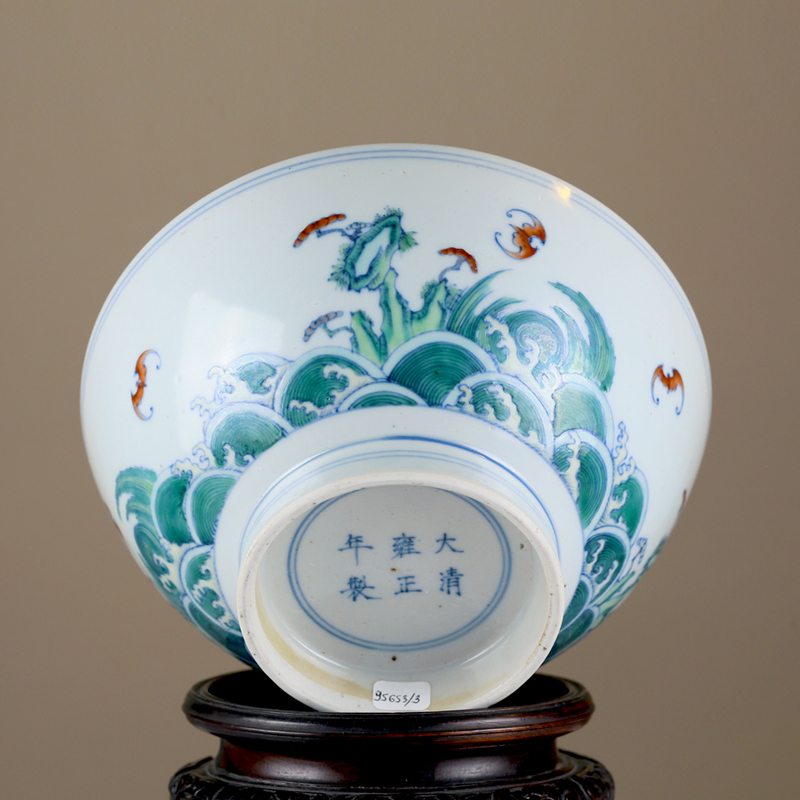 The bats found in the image is a pictorial signifier for good fortune, for ‘bat’ in Chinese (‘fu’) is a homonym of good fortune (also ‘fu’).